Pinpoint Trouble and instantly provides easily visible trip indication. The first-out indication is held indefinitely. 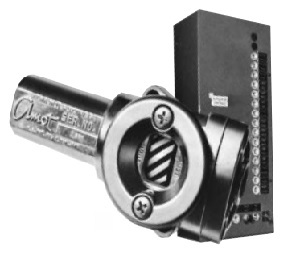 This simplifies troubleshooting to save time and reduce maintenance costs. Field Proven Durability that has made this indicating relay the industry standard pneumatic panel relay for over thirty years. Originally developed to withstand the rigorous conditions experienced in diesel and gas engine operating environments, the 2400D has proven highly reliable in turbine pump and demanding process applications. Wide Operating Pressure Range allows the 2400D to be used in pneumatic systems having circuit pressure of up to 125 psi. Simple Maintenance has been a key factor in the acceptance of the 2400D. The 2400D has only one moving part and all seals and o-rings on this sliding piston are easily accessible. Gulfproofed (corrosion resistant) finish is standard for increased resistance to seacoast or other corrosive atmospheres.